The Kootenay Outdoor Skate Park Society received an early gift when council chose to support park with a recreation grant from the province. Christmas is nearly here and KLOSPS, the Kootenay Outdoor Skate Park Society, received an early gift when council chose to support the construction of the outdoor skate park with a recreation grant from the province. 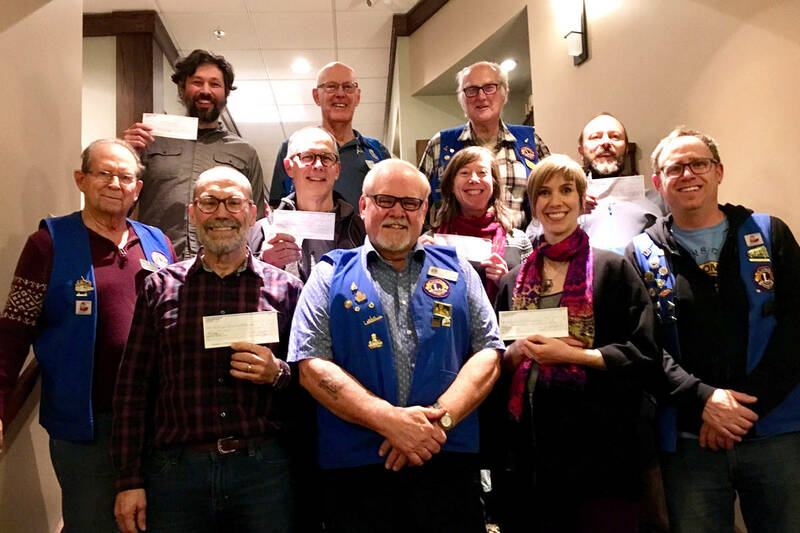 Of the three projects presented, this was an easy choice and with the province funding up to 80 per cent, it will provide a huge boost to the society’s fundraising efforts. I have no doubt that KLOSPS will be up to the task of raising the remaining 20 per cent with the help of the community and we’ll be seeing skaters using this facility very soon. The blur of activity surrounding the elections has passed and now it is back to work for council. One of our first orders of business was portfolios selections. I’m pleased to be continuing with the recreation and economic development portfolios. Both of these sectors will see a lot of activity in the coming year. The Recreation Commission welcomed new manager Eric Bienjtes to the Community Complex last month. Eric comes to us from Kamloops with over 20 years of experience in recreation and a real desire to get to know the people of Nelson. Eric is very impressed with the array of activities people have to choose from and is looking forward to taking the lead in the recreation master planning process. The completion of this process will result in solid long term plans for the future leisure needs of our larger community. It will assist the commission in making good decisions around investments in our parks and facilities. During the election there were concerns raised by the business community that recently came up in discussions at a meeting of the Nelson and Area Economic Development Partnership. These included the high cost of housing for people earning modest wages; increasing utility rates and ways to encourage business friendly practice in local governments. The work plan of the partnership has identified these issues and more. Plans are underway co-host a workshop with housing providers and the business community on housing solutions; to educate local governments on techniques used in the Biz Pal program and to explore methods to assist in reducing costs to business owners. The Business after Business events have become an important way for owners to get to know each other and to become informed on issues and services. The last two events were well-attended and received good comments. The Seed hosted an event in November and showcased how social media can become a powerful business tool. With the increasing trend in online shopping, this information can be very valuable to business owners. This month, Shawn Goodeve, the new coordinator for Invest Kootenay, had an opportunity to meet people at The New Grand. Chamber manager Tom Thomson will be providing more details in the New Year for the next event scheduled for January 26th at Phoenix Computers. If you haven’t had an opportunity to attend yet, mark your calendar and do come. I want to take this opportunity to thank you, the citizens of Nelson, for electing me to another term in office. It is a privilege to serve this community and I enjoy the work immensely. My family wishes you and yours the very best this holiday season. Stay safe and look for news of budget deliberations in the New Year.